The Education Department of the Seaford Historical Society has tours of the Ross Plantation and the Seaford Museum to meet Delaware State Standards. Plantation tours focus on the Civil War period and Victorian Era with tours of an 1860 Italianate style mansion and the only documented log slave quarter in DE. Tours of the Seaford Museum journey through a timeline of United States and Delaware history beginning with the natural resources that made this area a wonderful place to settle. Hands-on activities are included at both sites, and Victorian style attire is worn by docents in the Ross Mansion. A textile display in the slave quarter includes two working looms and displays contrasting the processes of turning cotton, flax, and wool fibers into cloth. Tours are available year round at both sites, but fall and spring are optimum times at the plantation due to the variety of outside games and activities. Click on one of the topics below to learn more. Please use the registration button below to request a tour and provide your group’s information. The Education Department also sponsors a Youth Interpreter Program which begins in fifth grade. 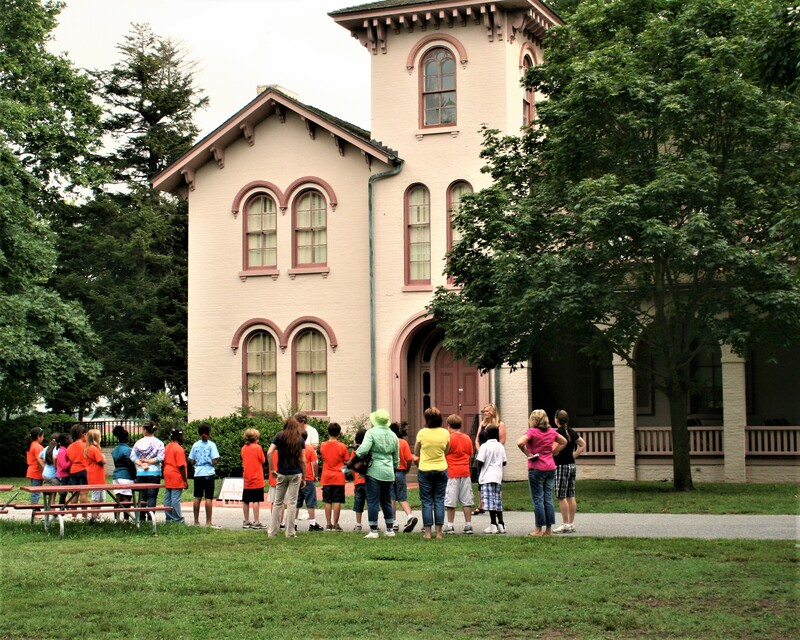 Youth are trained and serve as docents during special events, participate in Victorian related weaving and cooking activities, help maintain a positive appearance at the plantation, and more. learn more.